The history of sugar is a relatively recent one. Before that the only sweeteners available were honey or dried figs or dates. People didn't feel hard done by, they knew nothing else! These were used to sweeten cakes and other foods and were considered a luxury. Then about 500 b.c. it was discovered that a tall grass with a bamboo like stem contained a sweet juice which could be extracted when crushed. It became known as Sugar Cane and it grew well in warm damp climates. It was soon cultivated and grown and its juice became very popular. Crude techniques were developed to concentrate the juice, through evaporation and boiling, and the resulting product was traded and became valuable. By about 1400 a.d. the product had been refined into crystals (brown sugar) and this was widely available throughout Europe, though it was expensive. Techniques were improved and factories set up for the production of ever more refined product as demand increased. Sugar Cane however, could not be grown in Europe or most states in the USA, and the raw material had to be imported. But in the mid 1800s a new home grown source was discovered. Sugar Beet is a plant with a root tuber that contains more sucrose per kg than Sugar Cane, though it's yield per acre is somewhat less. 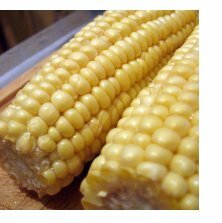 However it grows well in northern climates and it gradually replaced Sugar Cane in Europe. In the mid 1950s a technique for producing a form of sugar syrup from corn starch was discovered. The resultant product (now known as high fructose corn syrup) gradually replaced sucrose in the USA as the main form of sugar added to soft drinks and certain foods. 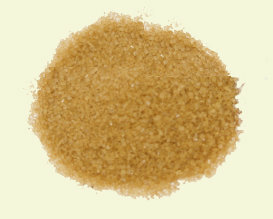 It cannot be sold as crystals or table sugar because the mix of fructose and glucose exist in a syrup form. Nevertheless, it now accounts for almost half the consumption of sugar in the USA and somewhat less in Japan. Cheaper and more efficient techniques of production have lead to ever increasing consumption of sugar. Gradually a connection was made between excessive consumption of sugar and various health issues, including obesity, diabetes and tooth decay. Because of this new forms of low calorie or no calorie sweeteners were developed. The artificial sweetener, saccharin, was first sold in 1886. Many other sweeteners, some natural some artificial, have been developed and work continues in this area. New and interesting products are appearing all the time on the market. Some of these may be beneficial to health, though time will tell! The history of sugar is only about 2,500 years old, but the final chapter has not been written yet!